So often we take our surroundings for granted. Although born in Salem, there is so much of the historic city that we have yet to explore. 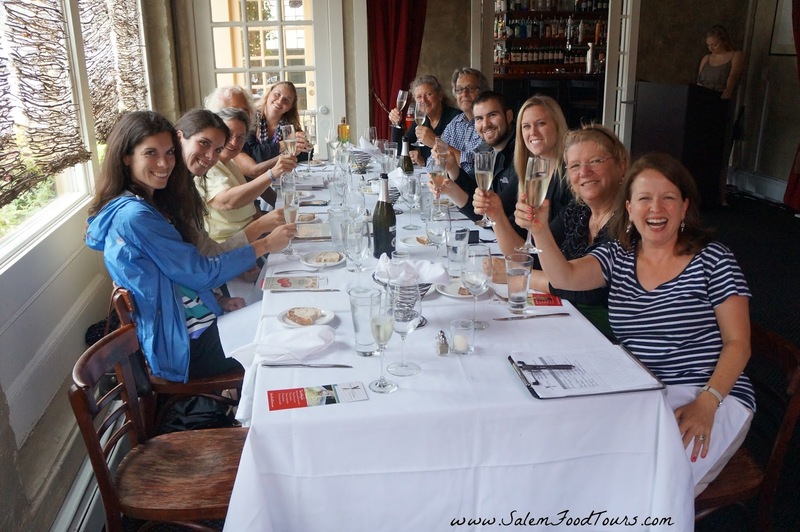 For a fun afternoon excursion, we decided to experience some of Salem’s culinary flare on a Salem Food Tour. Led by the charming and vivacious Karen Scalia, we joined a group of fellow foodies and learned about early colonial cooking techniques, listened to local shop owners and chefs, and sampled the fare at top restaurants. We met at the The Phillips House, a Federal-style mansion located on Salem’s luxurious Chestnut Street. 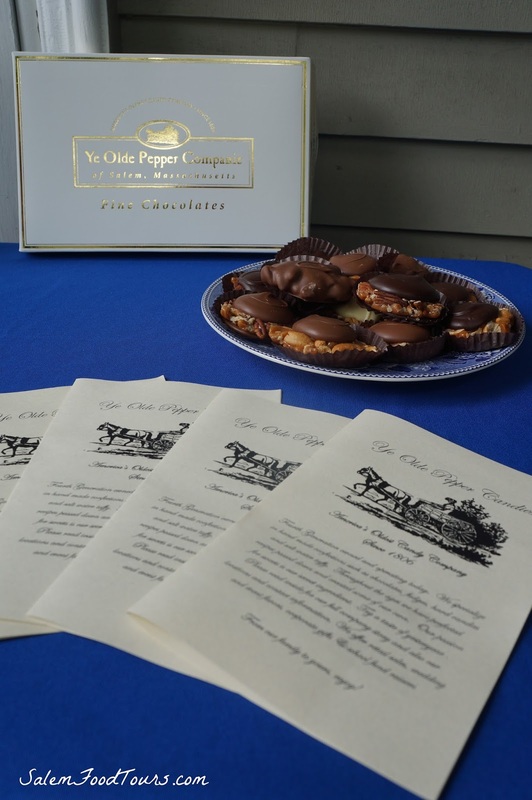 While nibbling on Ye Old Pepper Companie’s delectable Turtles, we learned about the Phillips family’s grand dinner menus and cooking techniques. We jumped into the future on our second stop at Life Alive. Manager Val gave us a taste of The Goddess, a mix of Ginger Nama Shoyu Sauce, chopped carrots, beets, broccoli, dark greens, and tofu atop short-grain brown rice. We sipped Karen’s favorite, the Loco Coco Alive Smoothie, a blend of Dandi-Chicory, cocoa, coconut oil, ice cream, maple syrup, and ice. On a pleasant high of unique flavors and textures, Val explained Life Alive’s emphasis on healthy, local, vegetarian cuisine. We walked a few blocks over to Milk and Honey. 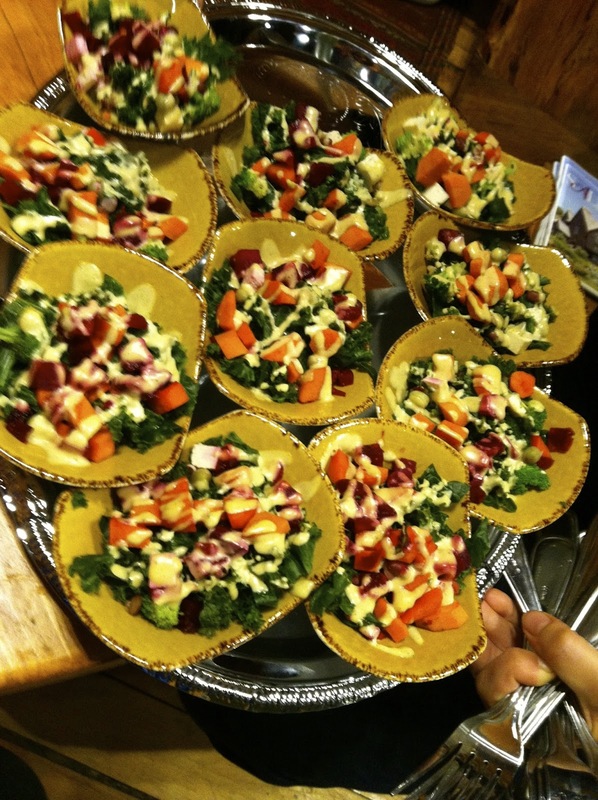 Owner Sharon Driscoll offered a tray of assorted sandwiches which would be perfect fare for any picnic along with a few Grab n’ Go Salads, dips, and assorted bottled beverages. The tray of fresh ingredients atop thick cut bread included their Roasted Turkey with Cheddar, Arugula, Red Pepper Mayonnaise and Bacon; Roast Beef with Cheddar and Horseradish Mayonnaise; and our personal favorite, Roast Pork Loin with Roasted Apples, Onions, Arugula and Compote Mayonnaise. We next sipped a couple wines at Salem Wine Imports. Owner Eric Olsen shared a Viognier white and a Côtes du Rhône red with us in his back room where we listened all about his impeccable knowledge of wine and travels through France. We were instantly intrigued by the menu and flare at the innovative Scratch Kitchen. The team is committed to conceptualizing the daily menu with locally sourced fresh ingredients. 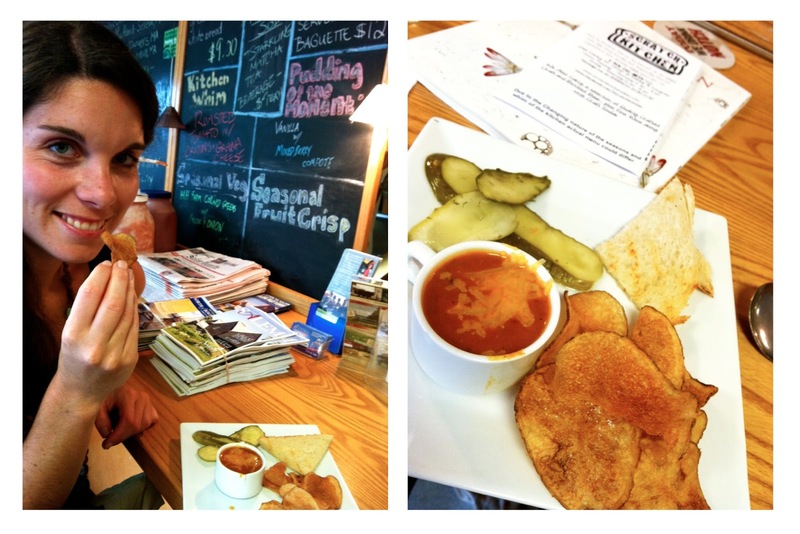 We sampled tiny tastes of the day’s Roasted Tomato Soup, Scratch Sourdough Bread, tangy dill Scratch Pickles, and House Kettle Chips. We look forward to returning and delving into the 'Pudding of the Moment' and a bag of popcorn popped in house-made bacon drippings. 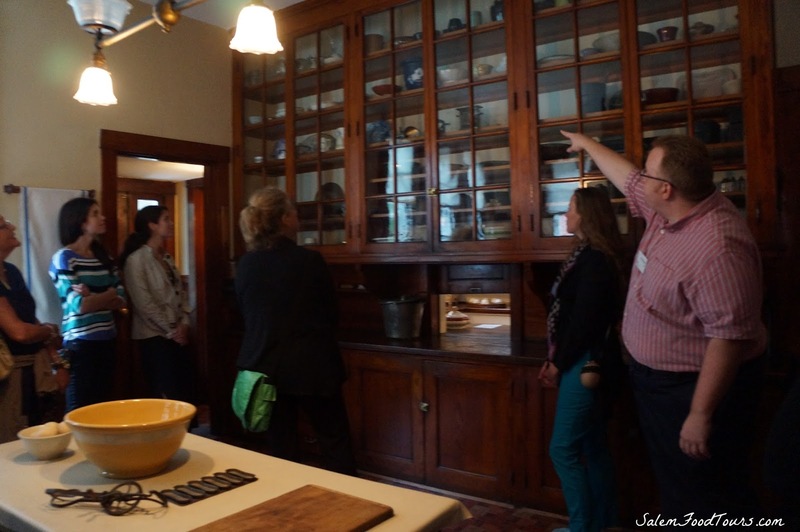 We learned about Salem’s lively maritime spice trades at the aromatic Salem Spice/The Picklepot. 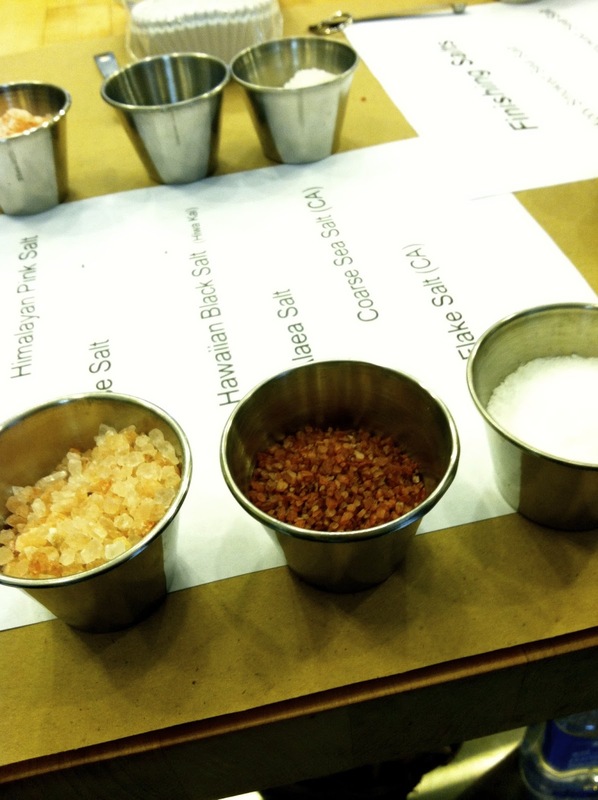 Proprietor David Bowie shared a variety of salts, peppers and spice blends for us to sample. We were in awe of the range and magnitude of flavors from Himalayan Pink Salt to Bourbon Barrel Smoked Pepper. After sampling the Chipotle Honey Rub, we had to purchase a jar. At our final destination, the Grapevine Restaurant, we cheersed the afternoon with a bubbly Pavan and Prosecco cocktail. Chef Tim Caldwell and Manager A.J. Bruno served a decadent tasting of Fresh Fettuccini with Wild Mushrooms, Shallot, and Crème Fraîche with slices of A&J King Artisan Bakers' Roasted Garlic Sourdough Bread. For a rich and sweet ending, we tasted Bittersweet Chocolate Mousse with Chantilly Cream paired with local Clown Shoes Brown Angel Double Brown Ale. 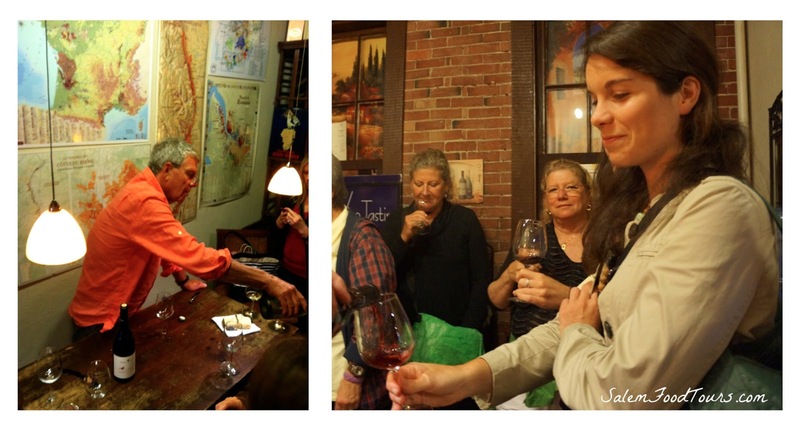 If you find yourself with friends or family visiting, or are looking for an afternoon Mother-Daughter activity, definitely head up to the North Shore for a Salem Food Tour. Every tour is deliciously unique and and features various local food partners. We had a blast...thank you Karen!